Volvo Car USA is recalling 112 model year 2017 S60, S60CC, V60, V60 Cross Country and XC60 vehicles. The recalled vehicles have driver and front passenger seat side mounted side airbags (SAB) with inflator initiators that may fail to ignite during a crash. As such, these vehicles fail to comply with the requirements of Federal Motor Vehicle Safety Standard (FMVSS) number 208, "Occupant Crash Protection" and number 214, "Side Impact Protection." May 11, 2006 The National Highway Traffic Safety Administration is recalling 108,766 Volvo XC90 vehicles from the 2003 to 2006 model years because a ball joint may fail, which could lead to a crash. Volvo Car USA is recalling 5,529 model year 2017 XC90, S90 and V90 Cross Country vehicles. The bolts that secure the Inflatable Curtain (IC) airbags in place may break, possibly resulting in the IC airbag deploying improperly in the event of a crash. As, such, these vehicles fail to comply with the requirements of Federal Motor Vehicle Safety Standard (FMVSS) number 226, "Ejection Mitigation." Volvo Cars of North America is recalling 43,766 model year 2016-2017 Volvo XC90s and S90s manufactured April 15, 2015 through September 19, 2016. The drain hose for the air conditioning may leak into the passenger compartment due to a drain hose installation error during manufacturing. Volvo will notify owners, and dealers will inspect the air conditioning drain hose for proper installation, replacing the hose as necessary, free of charge. The recall is expected to begin on November 14, 2016. Owners may contact Volvo at 1-800-458-1552. Volvo's number for this campaign is R89707. Volvo Car USA is recalling 74,027 model year 2016-2017 XC90, S90, XC60, V60 Cross Country, V60, S60 Cross Country, S60, and S60 Inscription vehicles manufactured February 16, 2015, to August 22, 2016. The front passenger seat belt buckle attaching stud may loosen, allowing the buckle to separate from the seat belt bracket. As such, these vehicles fail to comply with the requirements of Federal Motor Vehicle Safety Standard (FMVSS) number 210, "Seat Belt Assembly Anchorages" and number 209, "Seat Belt Assemblies." If the seat belt buckle separates from the bracket, the front seat passenger may not be restrained adequately in the event of a crash, increasing the risk of injury. Volvo will notify owners, and dealers will inspect the front passenger seat belt buckle stud, replacing the seat belt buckle as needed, free of charge. The recall is expected to begin December 12, 2016. Owners may contact Volvo customer service at 1-800-458-1552. Volvo's number for this recall is R89708. Volvo Car USA is recalling 377 model year 2017 S60 and S60 Cross Country, V60 and V60 Cross Country, and XC60 vehicles manufactured August 16, 2016, through October 21, 2016. The vehicles have driver and front passenger seat side mounted side airbags (SAB) with inflator initiators that may fail to ignite during a crash. As such, the vehicles fail to comply with the requirements of Federal Motor Vehicle Safety Standard (FMVSS) number 208, "Occupant Crash Protection" and number 214, "Side Impact Protection." If the inflator initiator fails to ignite, the airbag will not deploy, increasing the risk of injury. Volvo will notify owners, and dealers will inspect and, if necessary, replace the front seat side air bags, free of charge. The manufacturer has not yet provided a notification schedule. Owners may contact Volvo customer service at 1-800-458-1552. Volvo's number for this recall is R89712. Volvo Cars USA is recalling 25 model year 2019 Volvo XC40s. The rear seats may not have rear seat back lock strikers, allowing the seat back to move forward during certain hard braking conditions or a crash, increasing the risk of injury. Volvo will notify owners, and dealers will inspect the vehicles and install the seat back lock strikers if they are missing, free of charge. 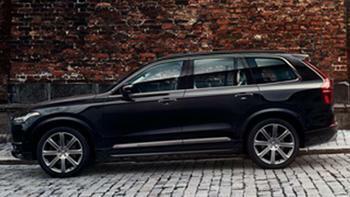 Volvo Car USA is recalling 1,305 model year 2017 XC90s. Volvo Car USA is recalling 71 model year 2019 Volvo XC40s. The brake pedals may not have been riveted correctly, allowing the pedal to move out of position, possibly reducing braking performance. Volvo has notified owners advising them to stop driving their vehicles. Cars will be inspected on-site or towed to dealers and the brake pedals will be replaced as necessary, free of charge. Volkswagen Group of America is recalling 33,168 model year 2015-2018 Volkswagen Golfs and Golf Sportwagens. The build of silicate on the shift lever micro switch contacts may enable the key to be removed from the ignition while the vehicle shift lever is not in "Park." Volvo Car USA is recalling 45,990 model year 2018-2019 Volvo XC60s. Under certain conditions and cold temperatures, the tailgate lifting arms may freeze which may cause them to separate from the vehicle. If the tailgate lifting arms separate, they could project rearward with significant force, increasing the risk of injury. Volvo has notified owners, and dealers will replace the tailgate lift arms with an improved design free of charge.